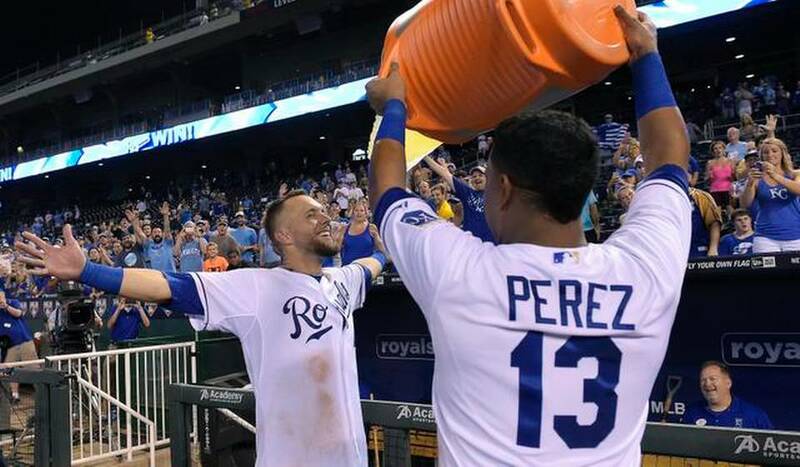 With the Kansas City Royals poised to garner their first playoff spot in 29 years, it seems only appropriate that one man would lead the charge and carry this team on his back. It happened in 1985, as George Brett had one of his best offensive seasons, leading the charge to the franchise’s first World Series title. So it seems only right that Alex Gordon would carry this team on his back. Over the last month it has appeared that Gordon has almost singlehandedly thrust this team into the top position in the American League Central. But he has also slid his way into the American League MVP conversation. 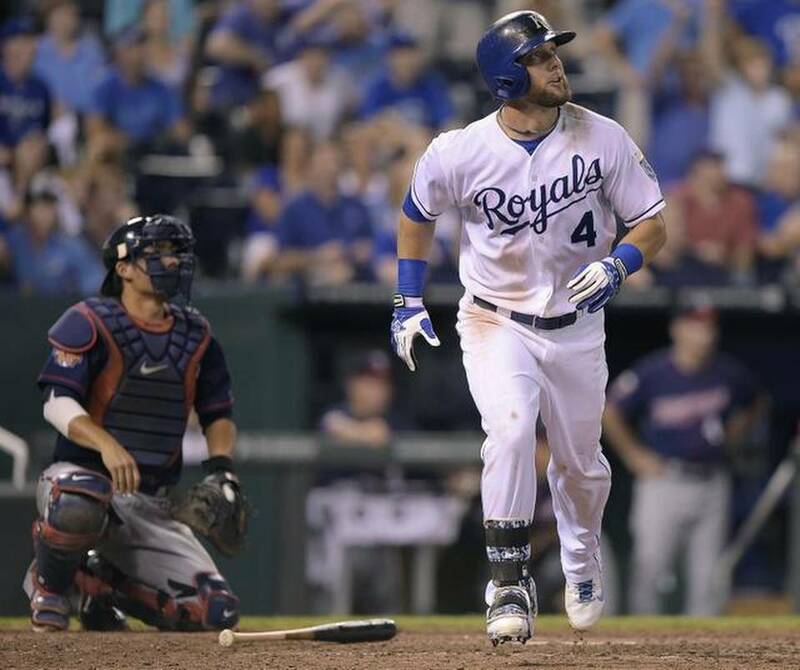 Before that game winning shot, the Royals had produced only 4 hits and one walk. The Royals have a very topsy turvy offense, one that can be electric when it wants to but also has many flaws. They are notorious for not taking many pitches(hence not many free passes) and sometimes seem like they swing at every pitch thrown their way. This leads to a very inconsistent offense but Alex Gordon has been the one consistent batter this team has seen for the majority of the last few months. Speaking of offense, Gordon’s numbers aren’t going to just jump out at you if that is what you are taking into account for MVP. He currently sits at .279/.355/.459. His OPS is at .814(which is pretty good but not great) and an OPS+ of 124(league average is 100). Since I know some enjoy the classic numbers, he has 19 home runs this with only 65 driven in, which neither are numbers that will make you swoon. The numbers show a very good offensive player who despite his team’s lack of offense is still able to put up solid numbers. He is leading the team in most categories this year and has really been big for the Royals in the last month. If you are someone who likes a player who performs down the stretch, Gordon sits at .298/.373/.615 over the last month with over half of his home runs hit in that span. It’s obvious that Alex has elevated his game when the team needs him to,but this hasn’t painted the whole picture. It’s hard having a conversation about Alex Gordon and his true value to this Kansas City team without mentioning his defense. It is safe to say that Gordon is probably the best left fielder in the American League and maybe in all of baseball, especially on the defensive side. He is a three time Gold Glove winner(the last 3 years) and it is safe to say he will win his 4th this year for defensive excellence. Alex Gordon is about as smooth in the field as humanly possible and this from a guy who started his pro career at third base. Going off of his numbers, he is having the best dWAR year of his career, sitting at 2.1. Since 2011 he has a combined dWAR of 6.5 and has 82 defensive runs saved in that time, 22 just this year. Gordon is on another level defensively and has gotten to the point where runners don’t dare run on his arm, as he has thrown out 61 runners over the last four years, but only 7 this year. It tooks almost four years, but runners have finally figured out not to run on Alex. All these numbers are great, but I feel unless you watch him play everyday(and I am normally either watching or listening to the broadcast most nights) you don’t really truly understand just how great he is defensively. We are getting to see a defensive master in Kansas City, one that might rival Frank White and his 8 Gold Gloves at second base, including 6 in a row. Gordon’s defense adds to his value to this Royals ballclub and makes it to where he is near the top of the WAR leaderboard of the American League. Ah yes, the WAR argument. There is a division when it comes to the true value of the WAR stat, which is understandable with the uncertainty of accuracy when it comes to defensive metrics. But there is also no other stat that truly encompasses the true value of a player the way WAR does(factoring in offense, defense and baserunning into its equation). It’s pretty simple to see that it is a stat that truly likes complete players. In the American League, Josh Donaldson of Oakland leads with a bWAR of 6.9, 0.3 ahead of Mike Trout. 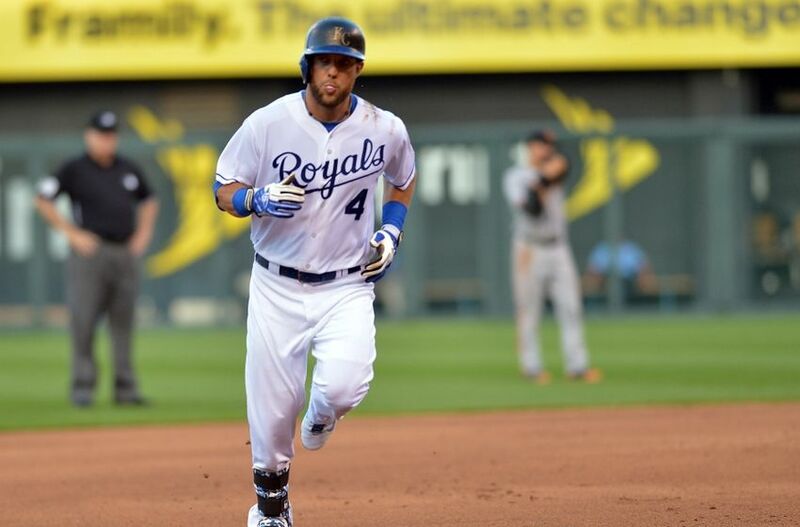 He is followed by Felix Hernandez in third, Adrian Beltre in fourth and…Alex Gordon in 5th with a 5.9 bWAR. Even to be mentioned in the same company of the other 4 players shows just how valuable Alex Gordon is to this Royals team. Gordon also sits 2nd in fWAR at 6.2 behind only Mike Trout. You don’t have to believe that WAR is the end all be all to factor in the true value of a player, but you do need to recognize that it helps someone understand the greater value of that player to his team. Gordon is on a level with true superstars and shows that his “value” is great enough to be considered “Most Valuable”. Numbers don’t tell the whole story when it comes to Alex Gordon but they do show that his value stretches across the entire board not only for the Royals but for the entire American League. Without Gordon, the Royals aren’t preparing to play in the postseason for the first time since Ronald Reagan was in office. I know where my vote is going to land. 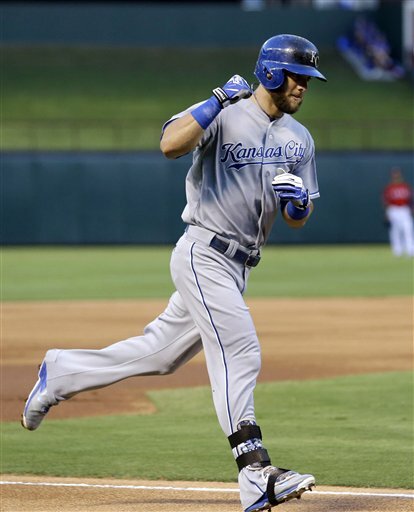 Voters, I’m not saying that you have to vote Alex Gordon for American League MVP. What I am saying is that it would be a mistake if he doesn’t end up in the top five, because I think it is safe to say that he is one of the five best players in the league this year. There is nothing wrong with voting for Mike Trout, as he has had another stellar season for the Angels. But Alex Gordon is closer than you think and deserves your consideration. 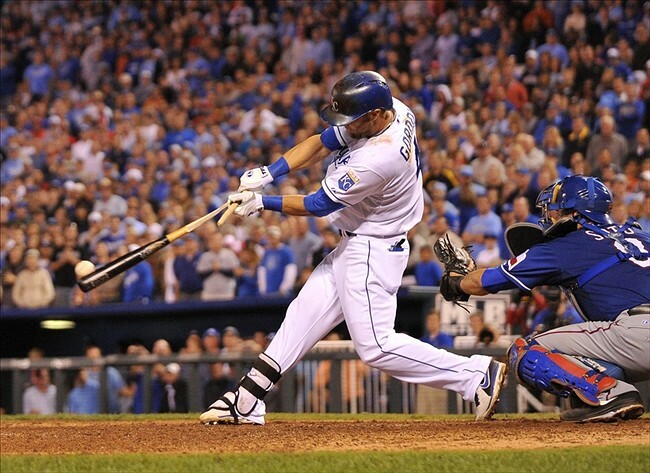 It’s a good thing for you to stop and pause to think about it; Alex Gordon has earned that extra thought.